Traveling for work is both a blessing and a curse. Sure you get to be a globetrotter seeing new places, some you didn’t even know you wanted to visit. You get to try new food, meet new people, and be a part of exciting cultures. Whilst all of the highs of business travel can be thrilling and exotic, it can also become a real bummer. Creature comforts of home become longings that can take the fun out of the unknown. Trying to fall asleep in a business hotel with the incessant ring of the elevator moving up and down, doors slamming doors as guests come and go, and upstairs neighbors practicing their karate can make for a bad trip. The good news is you don’t have to choose a typical hotel for your next business trip. A number of companies are now offering serviced apartments for business travelers. You may be wondering: what is a serviced apartment and how will it improve your next business trip? Serviced apartments are furnished rooms either in apartment complexes or even in some hotels that can be rented for short term or long term stays. These apartments offer many amenities that business hotels provide without the drama of being in a building with revolving guests coming and going at all hours of the day and night. Not only are you getting added privacy and freedom, but serviced apartments also offer on average 30% more space than a business hotel. Since you will be staying in the comfort of an apartment or long term hotel room you can feel comfortable unpacking your suitcase, organizing desk space, and kicking your feet up during down time. Have a home cooked meal and enjoy a glass of wine while relaxing in your temporary home that feels cozy and meets your business and personal needs. Invite your new coworkers over for cocktails. The options are endless for making your business trip feel like home-away-from-home. 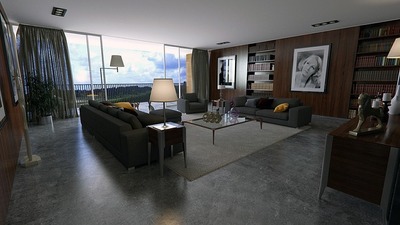 There are a number of companies that offer serviced apartments for business travelers. A simple search for the city you are traveling to will provide you with many options. Many of these companies offer lower prices for extended stays. Take time to review these prices as you choose the best service apartment for your needs. For example, Corporate Keys' rates are lower if your stay reaches three months or more - they offer 137 serviced apartments in Melbourne. With options like this, you could test out a new apartment style or choose a favorite layout to keep the homesick germs at bay. Just imagine how much more comfortable you’ll be staying in an apartment of your choosing for your trip. 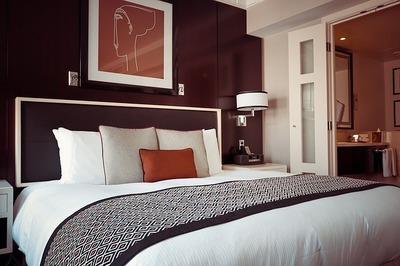 Before you book that business hotel explore the many serviced apartment options. You can enjoy the comforts of home while still exploring all the world has to offer. Plus, the money you save will keep your boss smiling as your do what you do best. Serviced apartments really are a win-win for everyone.